Ahead of CES in Las Vegas, it had not been difficult to predict that components and gadgets in the smart home category would be part of the mix. Sure enough, one of the headline grabbers this week belongs to Sigma Designs, with its reveal of the Z-Wave 700-Series Chipset. This will impact Internet of Things devices. CNET's Brian Bennett summarized what's interesting about the chips set to power Z-Wave gadgets. "According to Sigma, gadgets equipped with the new silicon will not merely have greater range: Z-Wave 700 devices, which will be things like light switches and bulbs, should also function faster. The biggest enhancement, though, is dramatically increased energy efficiency." Yet another upside, he added, is that this "could potentially mean more computing power in smaller devices." The Z-Wave 700 Series' makers said the sensors can be powered by coin cells and live for 10 years. This will enable a new generation of Z-Wave sensor devices, said the company. Raoul Wijgergangs, VP of Sigma Designs' Z-Wave Business Unit, said the 700-Series opened opportunities for new classes of sensors. CNET said Sigma expected its Z-Wave 700 Series chips to ship in the second quarter of this year. Tech watchers sites like CNET, The Verge, and CE Pro Europe honed in on the battery feature. Jacob Kastrenakes, Circuit Breaker editor, The Verge, weighed in. "The company behind Z-Wave, Sigma Designs, is announcing a new chip today that it claims can get more than 10 years of battery life out of a single coin-cell battery. Sigma hopes that extensive battery life will allow more and more parts of our home to get connected, including our furniture." The low power consumption enables new small form factor Z-Wave sensors, said the company, and these can be embedded into new places—into furniture, windows, and behind dry walls. 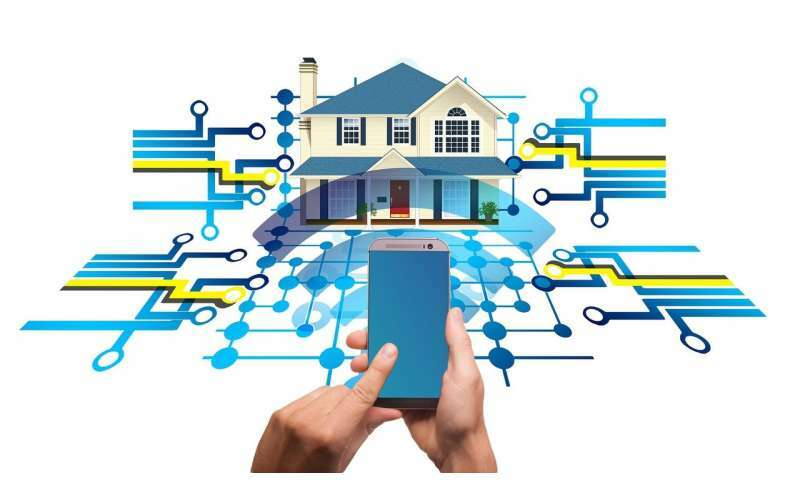 The chipset's impact on home products' range is another feature: The Z-Wave 700 platform will enable new smart home devices that can be used outdoors, with range of 300 feet. That can cover, for example, multi-stories in a house and the far end of the yard or end of the driveway. TechHive's executive editor, Michael Brown, observed that Z-Wave 700 marked a change in architecture, "away from the 8-bit Intel 8051-compatible foundation used in previous generations to a 32-bit ARM Cortex SoC (system on chip)." Z-Wave 700 parts, though, will remain backward compatible with other Z-Wave devices since the platform's inception more than 15 years ago, said Brown. Tech watchers also talked about uses resulting from the new chipset, in powering products. The Sigma Designs chip "could open the door to the smart home we've all been imagining," said Jacob Siegal, BGR. "Sigma suggests these will mostly be used for sensors—say, one monitoring for water leaks or motion," said The Verge. Jordan O'Brien, CE Pro Europe, similarly said sensor use would be the result, in measuring anything from motion to pressure. "Imagine a world where the sofa can measure a user's weight and send it to the fridge to order groceries that will help with a healthier diet, that's the sort of thing that could be possible with this new chipset," said O'Brien.